Temperatures are falling, it’s going to freeze and the first snowflakes find their way down. No doubt about it: Jack Frost is coming! Cold, snow, black ice and other wintery circumstances can make the work at the site very difficult and can cause the planning to fail miserably. It also threatens to endanger the safety, health and motivation of your employees. As an employer you must take the necessary measures to protect your people and to let work continue at the site. Is it your goal that your employees are bothered as little as possible by the winter weather? 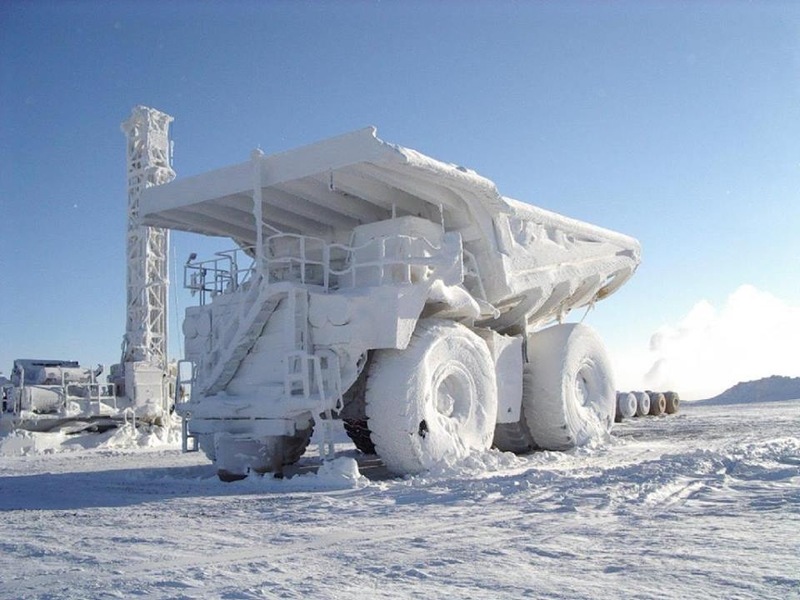 How do you keep things running smoothly at the worksite during the winter? In this article we provide you with 7 pertinent tips. “It’s better to be safe than sorry”; this expression applies here too. Cold, rain, freezing weather and snow create risks. 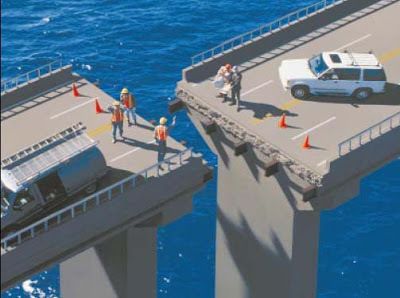 Integrate the risks into a risk analysis and determine the measures that need to be taken in regard to a safe worksite. Spread salt on the roads on a regular basis so they do not become slippery and accidents do not happen because of that. Scatter sand on the roads. Because of this the rays of the sun will be reflected less and as a result the vehicles grip the road better. Isn’t that good to know? Inspect the worksite on a regular basis for snowdrifts and stalactites. Icicles that point downwards often hang at a high point and can create dangerous situations with their pointy ends. Accumulated heaps of snow that may slide down can be dangerous too. Cleaning them up decreases the risk for accidents considerably. If that proves to be impossible, the danger zone should be barricaded so nobody has access. Make sure your employees are well informed and have the correct information. Things you can do are e.g. holding a brief safety meeting at the beginning of the day, display posters, distribute guides and manuals, etc. You certainly don’t like to think about the fact that your employees may end up in the middle of a storm at the worksite. By staying abreast of the weather forecasts, you can anticipate possibly inclement weather and have your employees work indoors, or stop work at the site in a timely manner, before the weather hits. There are different weather sites where you can find all possible weather-related risks for the next 24 hours. Cold can cause freezing of body parts. Especially hands, feet, nose and ears are vulnerable to this risk. There is also the danger of hypothermia. When this happens, the body temperature drops to under 35°C (95°F), which is accompanied with loss of feeling, shivering and goosebumps. It is important to recognize these symptoms so that employees who fall victim to hypothermia can be treated right away. It is also important to make sure that your employees are exposed to the cold for as short a period as possible, e.g. by having them work in shifts. 30% of the body heat is lost through the extremities (hands, feet, head). Make sure that your team has the appropriate clothing available to fight the cold and to prevent loss of body heat. A fleece cap that can be worn underneath the helmet that keeps the head and brains at the correct temperature. Clothing made of technically advanced materials that retain the body heat and wick away the sweat, is readily available. Avoid cotton clothing since this retains moisture. Don’t forget about gloves, boots and woolen socks. It is not advised to wear scarves since they carry the risk to get stuck on tools or machinery. In order to defy the cold, it is important that people eat and drink well and sufficiently so. Following are a few advices about foods that are preferable and others that should be avoided. Foods that contain many slow sugars and carbohydrates. These are released slowly into the blood stream and are therefore extremely suitable for long-term physical work. Wholegrain bread, pasta and beans are perfect. Coffee. Caffeine accelerates the heartbeat. That makes you think you are warming up, but that is just an appearance. Vehicles and machinery can take over part of the manual tasks and increase productivity. Make sure they are prepared before the winter arrives. Equip the machinery with special ‘first aid’ kits for the winter, in case a driver gets stuck in the snow. These kits contain a scraper, a shovel, a flashlight, a blanket, some dry food and even a flare gun! Check the vehicles before the winter starts. Pay special attention to the air pressure in the tires. They could deflate fast as a result of the dropping of the temperatures. Not just your employees need to be armed against the snow, but your vehicles too. Thanks to snow chains the vehicle will have better grip on a road covered with snow. In certain situations, they can be very helpful! Keep a close eye on the wind speed. This is especially important for lifting machines and machinery used at heights. Calculate the wind speed and check to see if you can use the machine (you can find this information in the technical manual of the machine). Don’t forget the batteries. In cold weather the battery drains quicker. It can be a good idea to exchange them before the winter, especially batteries that are difficult to charge. Even though there is a line of thought that says that alcohol and cigarettes warm you up nicely, nothing could be further from the truth! Alcohol dehydrates you and gives you a false feeling of warmth. Drinking too much can lead to drunkenness with all the risks that come with that. By smoking, your blood veins constrict, making you colder instead of warmer. When you perform physical labor in cold weather, your body cools from the inside out because of the repeatedly deep inhalations. This can cause diseases of the lungs and bronchi. 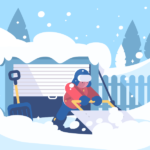 Remember to limit hard physical labor during cold weather as much as possible. Got nice and toasty by reading this article? Don’t be shy to leave a message or share your advice to make it through the winter in the best possible way. 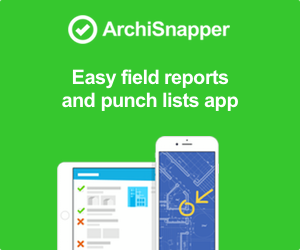 ← Architects, Engineers, Contractors: Automate Your Business and Be In Control!